A while ago I won an annual pass to Amberley Museum and last weekend I took the opportunity to visit whilst their Traditional Crafts event was taking place. 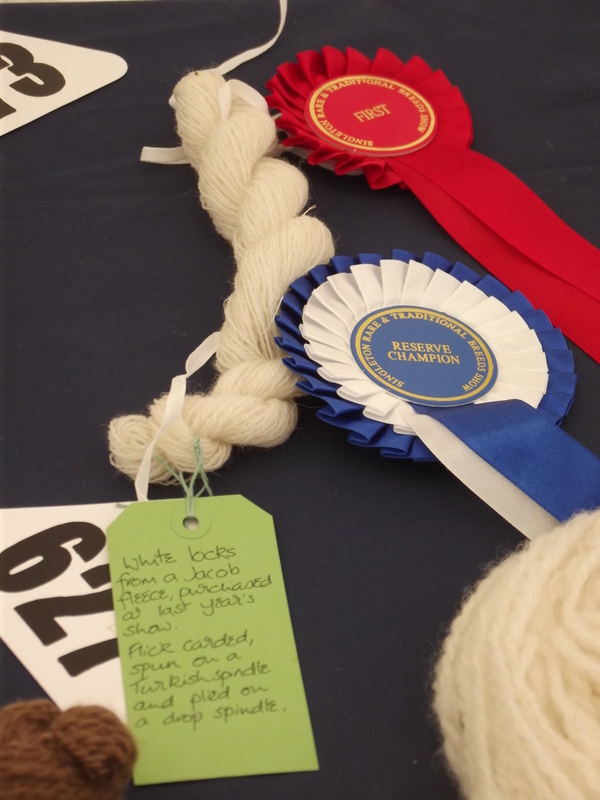 I knew that South Downs Yarn had a stand at the show and, just as I was about to give up hunting for her and head home, I spotted a sign pointing up a track. 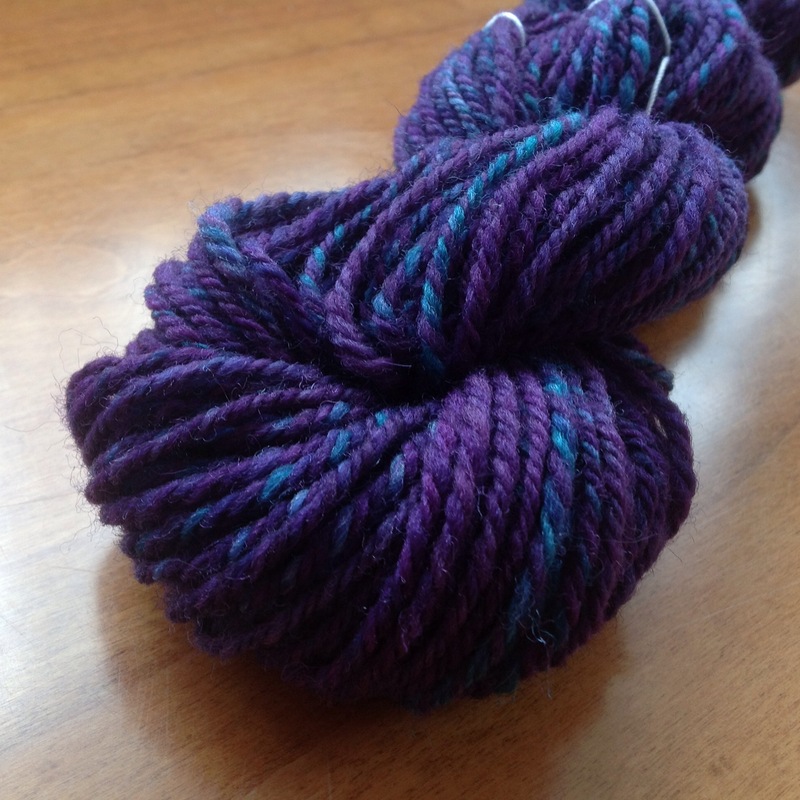 Sure enough, there she was, tucked away in the Friends’ Centre with a local spinning guild. 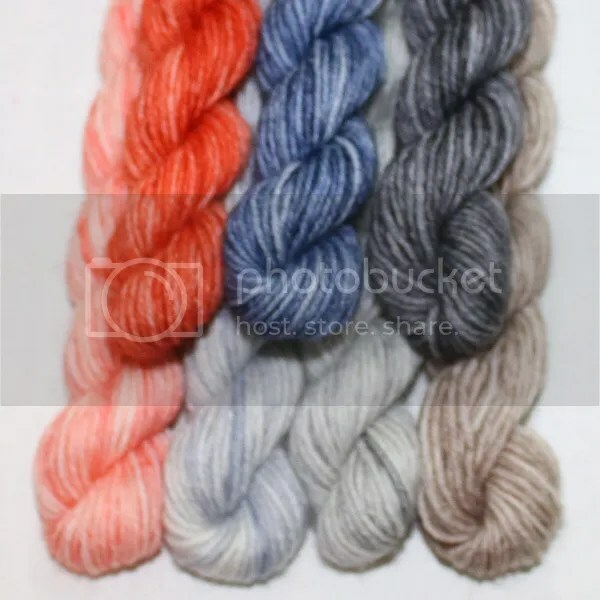 After a while deliberating about colours, a couple of skeins agreed to come home with me – I think I will try and spin some Southdown fibre to use alongside it in a colourwork project of some sort. 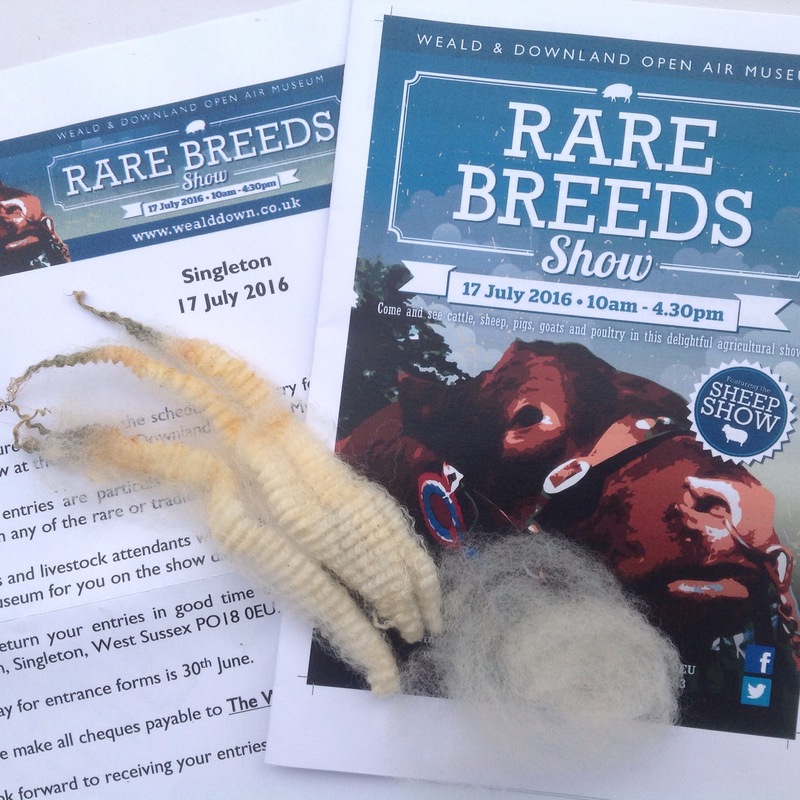 It’s that time of year again, the Rare Breeds show at the Weald and Downland Museum is coming round again. 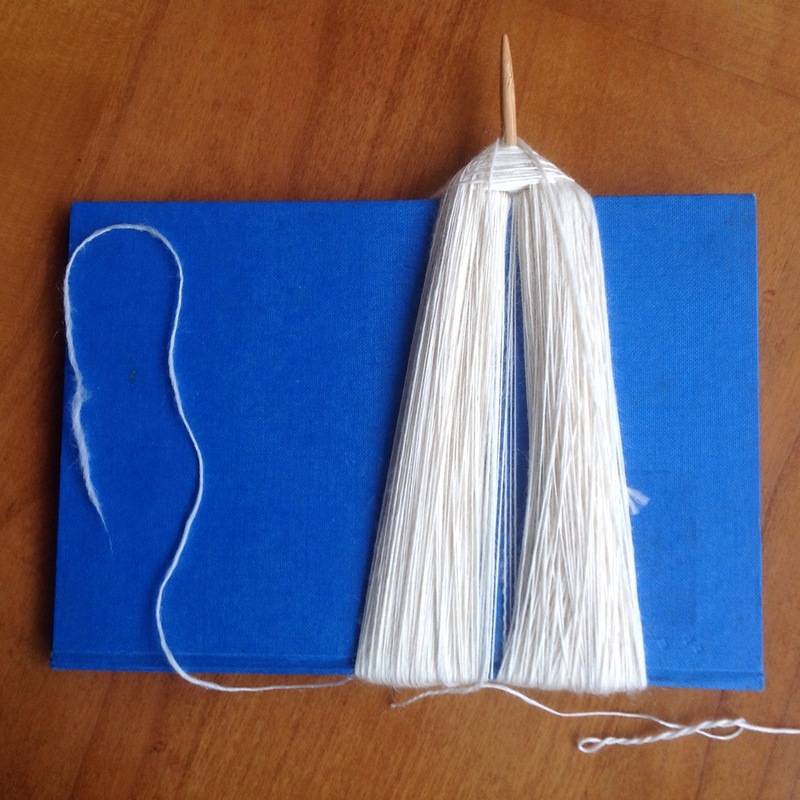 I think it must be six years since my first entry, which was made using a spindle created from a CD and a chopstick! 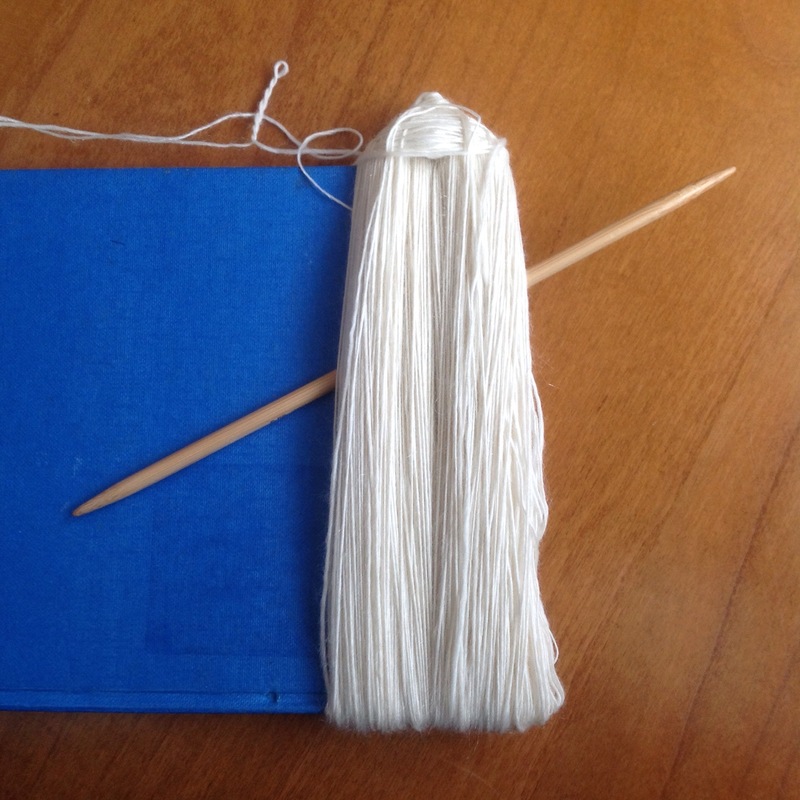 I have one project well underway, but I’m hoping to get a skein of polwarth ready to enter as well. I bought a small amount of locks a few months back, have washed them and started flick carding them. They were not really dirty to start with, but a gentle soak and rinse made the locks look like something out of a washing powder advert! 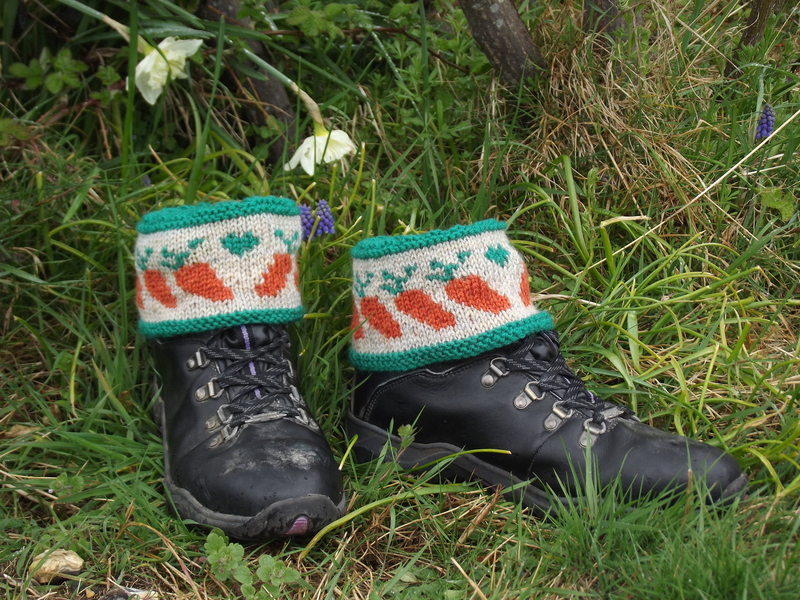 I have two new patterns published in Knit Now (Issue 61) which hits the shops this week. The Harbour View mitts have cables travelling up the back of the hand and in this lime colourway certainly brightens a dull day! 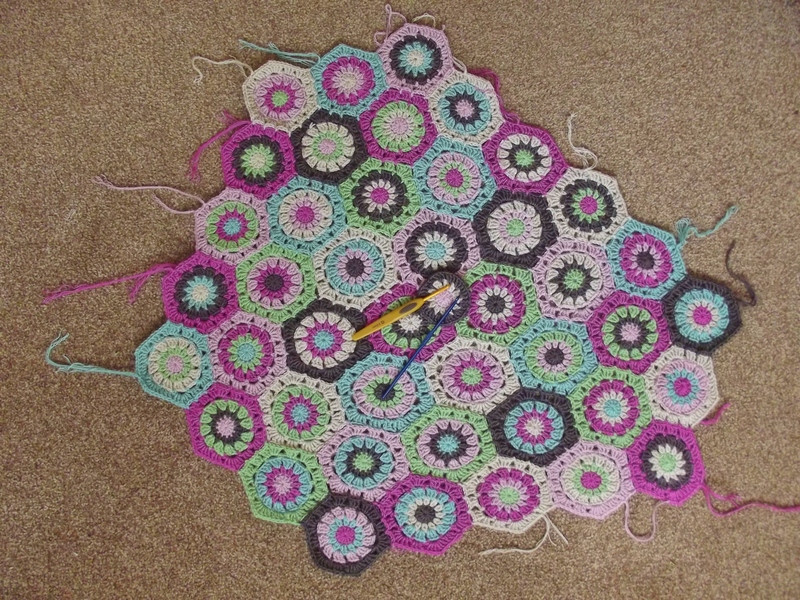 Last week I finished a blanket design I have been working on for, well actually I’d rather not think about how long. 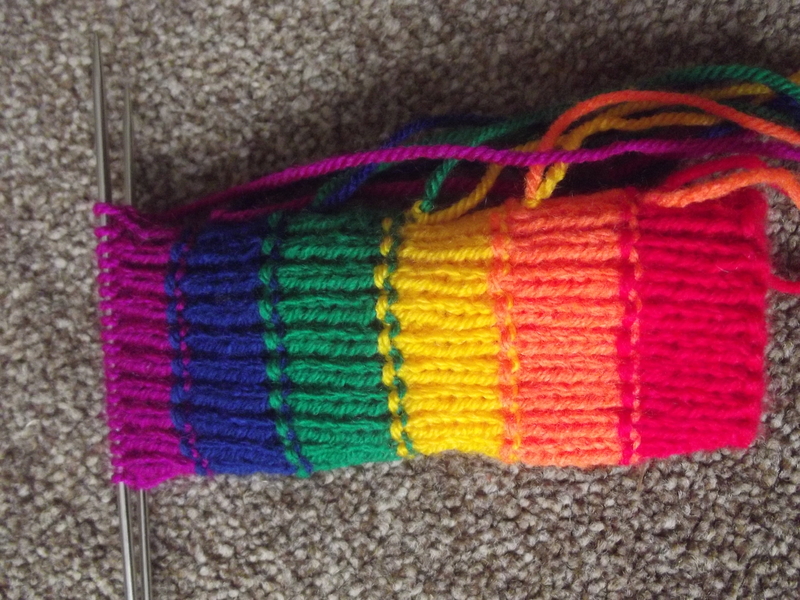 Most of the knitting was completed over Christmas (not last Christmas, the one before that). 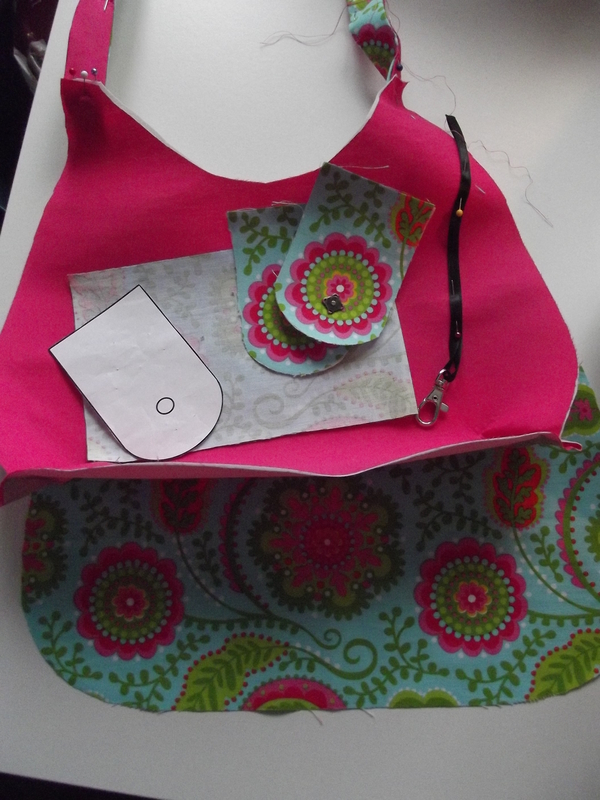 Then came the sewing up. Or some of it, and then the whole project got put to one side. It just looked a little incomplete still. What it needed was a border. 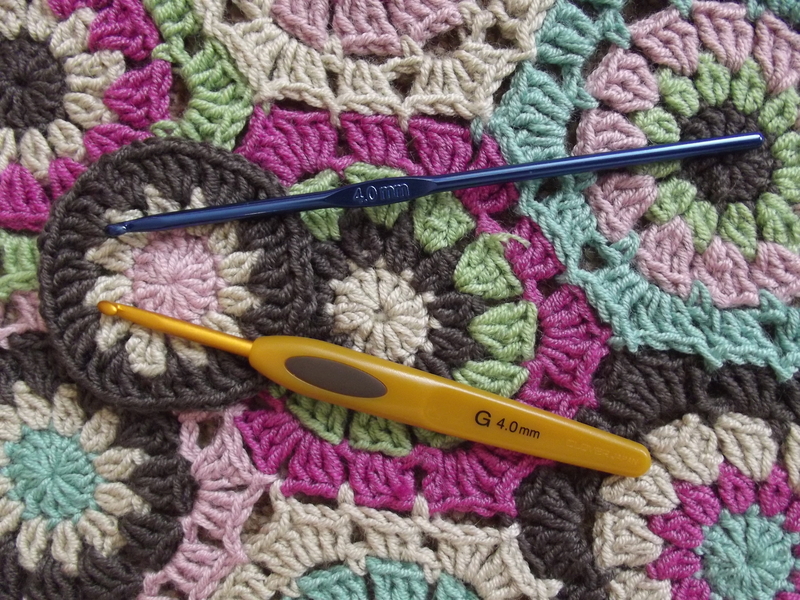 If you ever hear me mutter those words again, steal my needles. 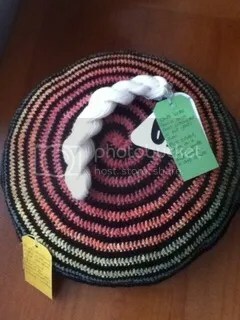 Last week I posted about The Knitting Goddess competition, where my photo had been shortlisted as a possible colour theme for a set of mini-skeins. You may have already come across the Little Yellow Duck project – I have finally found the time to get involved after intending to do so for many months. I am a sucker for things like this – I love the idea of leaving anonymous surprises and this project has the bonus of raising awareness for a very good cause (blood and organ donation – possibly the ultimate random act of kindness). 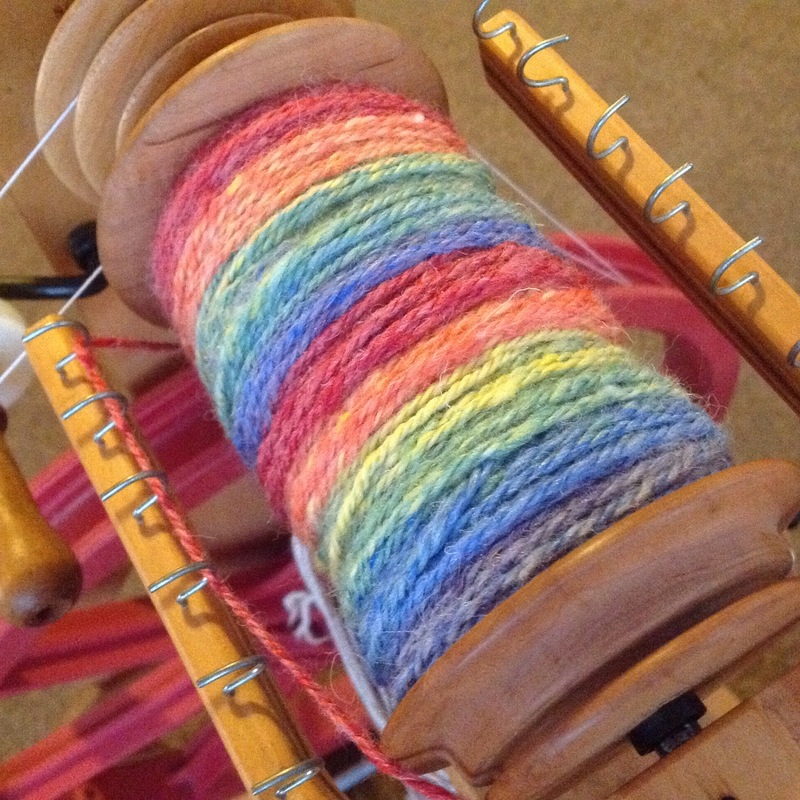 I’ve been spinning some lovely, but rather slippery, fibre recently. It took me a little while to get to grips with it, so I’d used quite a few handfuls of it before reaching a point where I could spin it consistently. 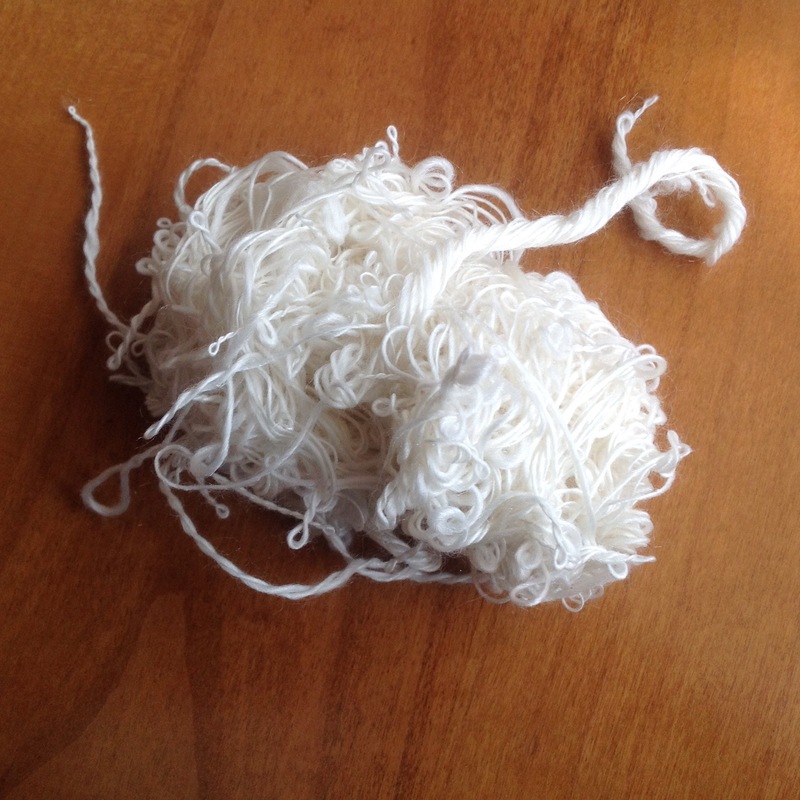 I figured that my early attempts wouldn’t make great finished yarn, so, once I was happy with what I was producing, I tied a slip knot in the singles to mark the end of the experimenting, split the remaining fibre, spun it and plied it. 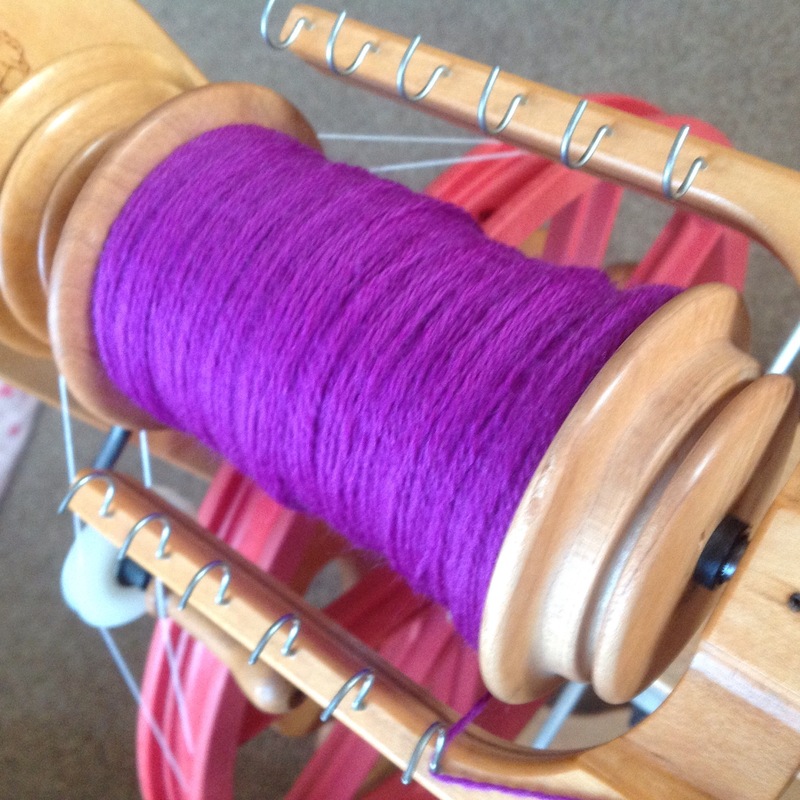 This, of course, meant I had quite a lot of singles left on the first bobbin. 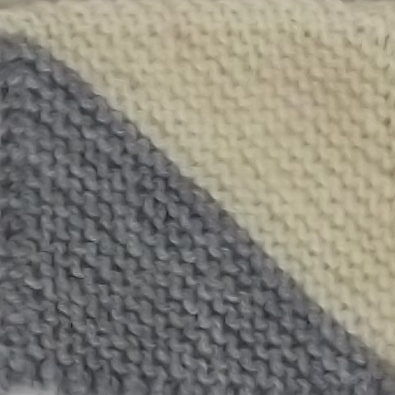 I knew I would need to try a few needle sizes to get the right gauge for this project, so I thought that I might as well ply what was left and use it for swatching. 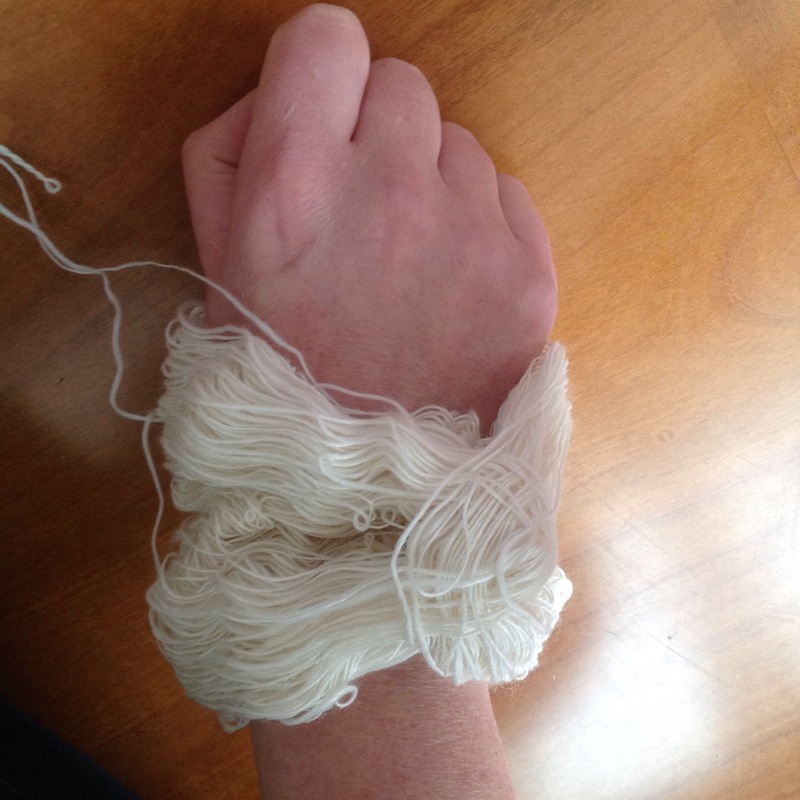 I have used bracelet plying in the past, but it has usually ended up with me being on the brink of going to A&E to be cut out of the mess that was wound round my hand, having cut off circulation to my finger! Take the single under the spine to the back of the book, up to the top (on the left of the DPN), wrap it in front of the DPN, bring it down (to the right of the DPN) until you are back where you started. 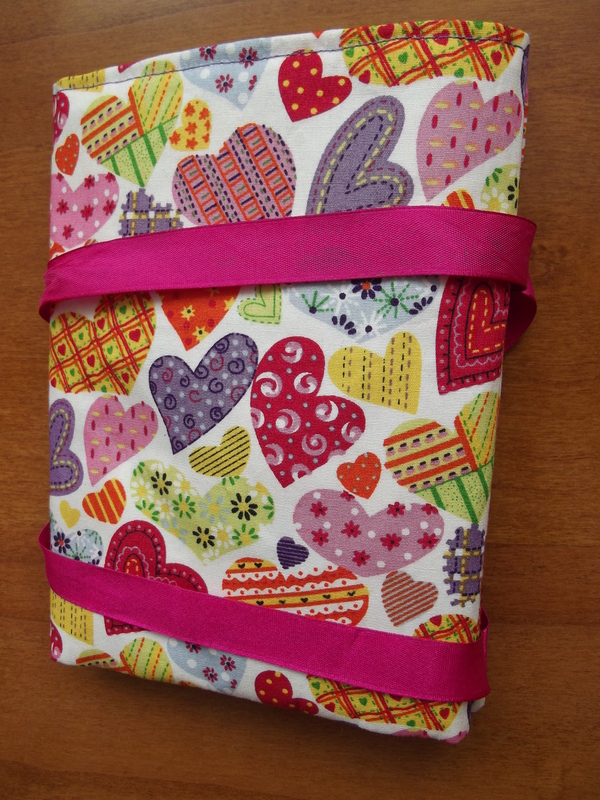 I then poked the DPN between the singles and the front cover to hold the space that my hand would go through. Maybe a smaller/tighter bracelet would have helped? Or maybe concentrating more…! 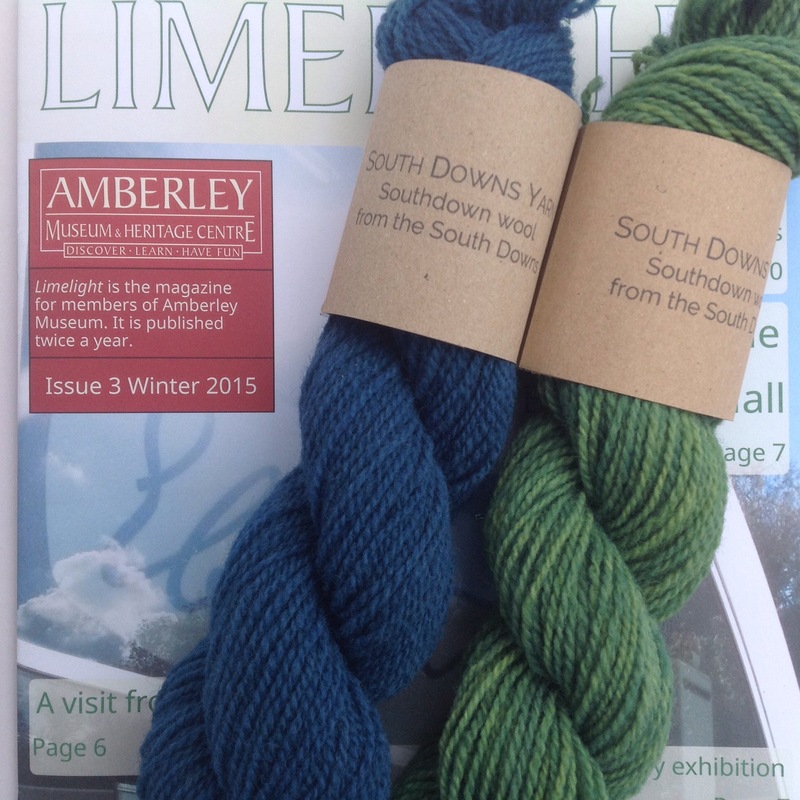 My first pattern of 2015 is published today in Knit Now Magazine (Issue 44). It can be worn with the top folded down, or as a tube to keep as much of you warm as possible. 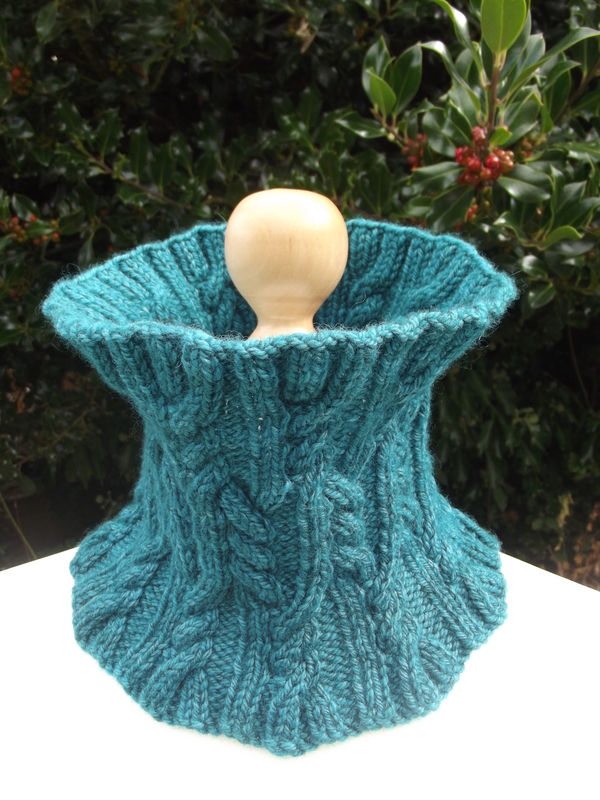 The cowl was knitted using Emrys Bluefaced Leicester Aran by Triskelion Yarn and Fibre. 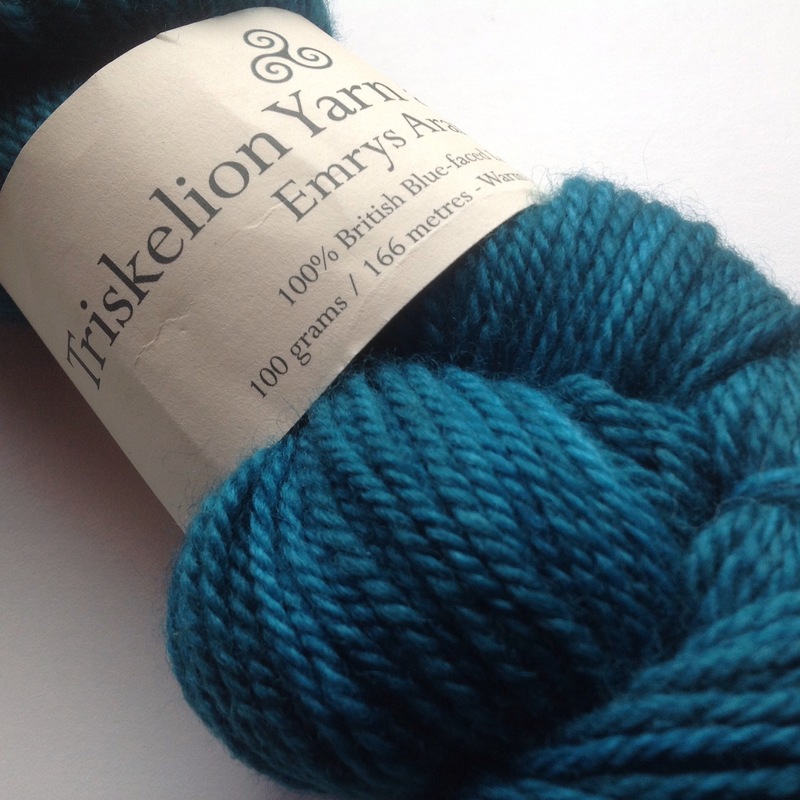 The yarn was a delight to knit with, a great colour (Hafren) and very very squishy. 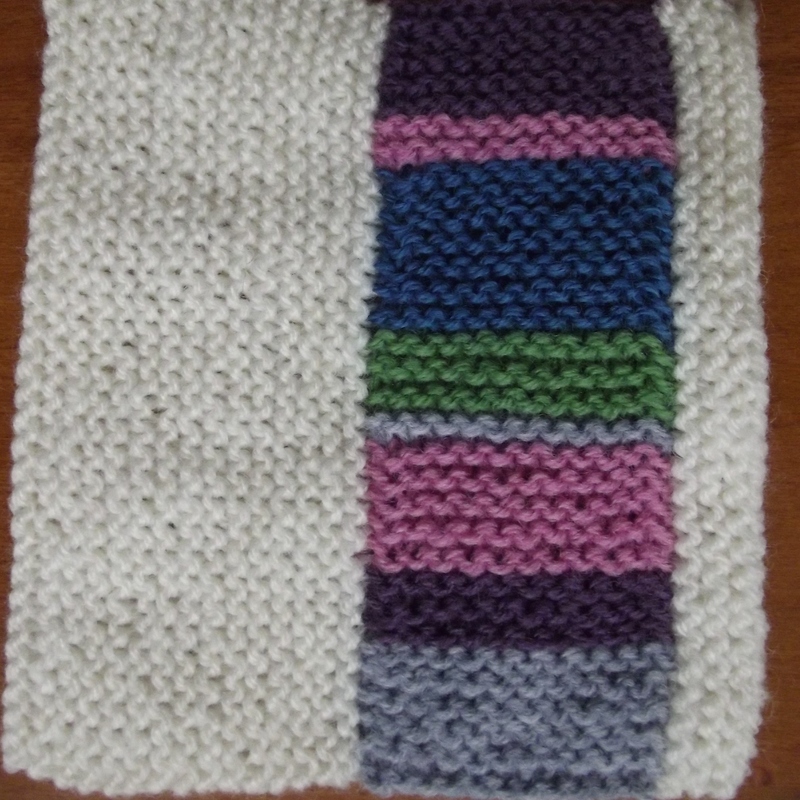 From the original prototype that I made I thought that it would be touch and go to make the cowl from one skein. 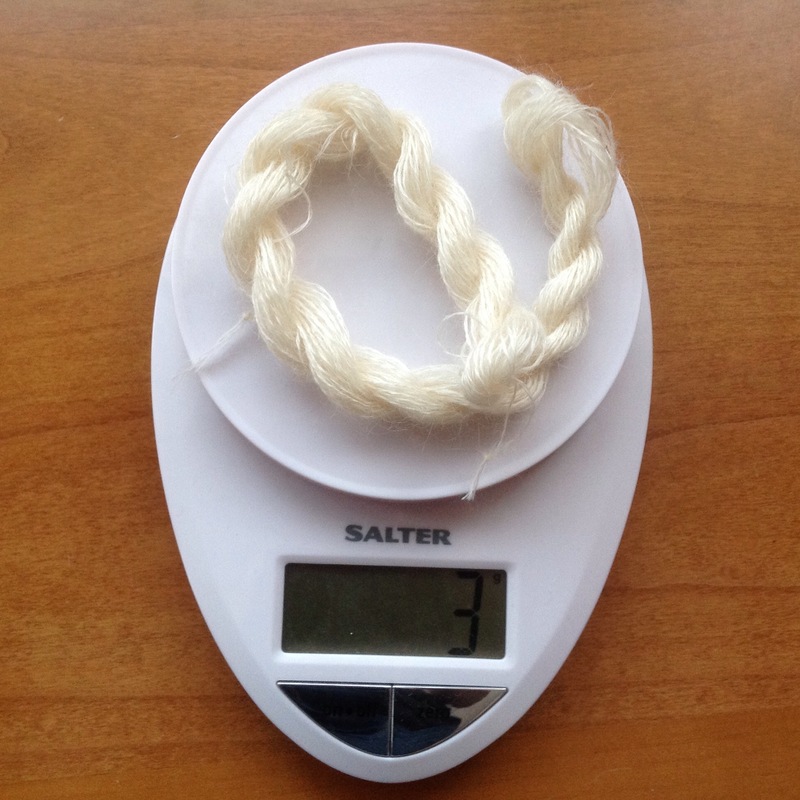 There was an awful lot of knitting a round, weighing the cowl, weighing the remaining yarn, crossing fingers etc. 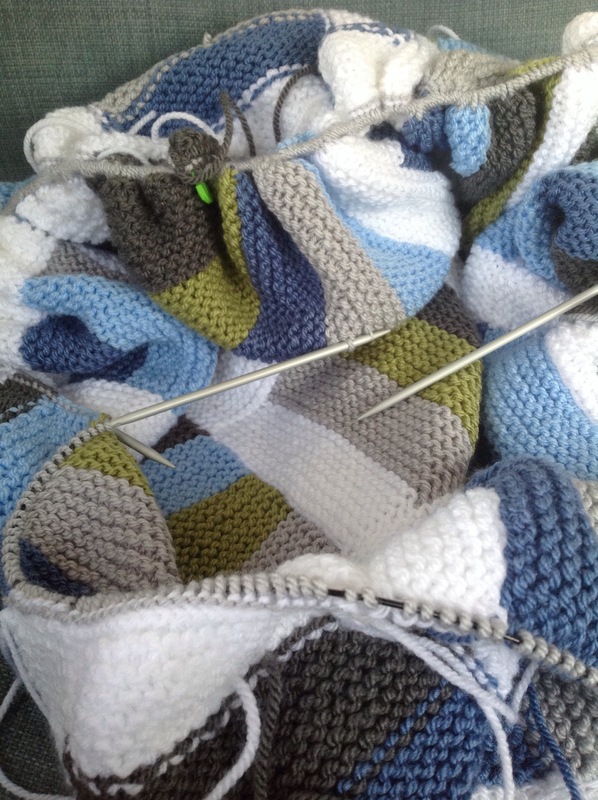 When, after all that worry, the finished cowl used 90g of yarn, I was mightily relieved! 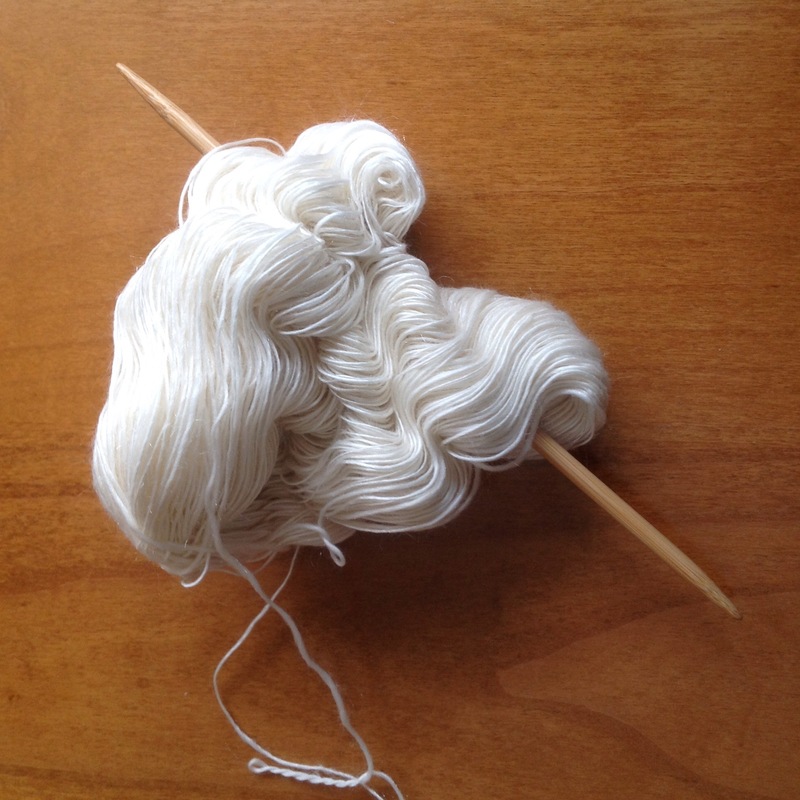 It’s a quick knit and a good way to use up some leftover DK yarn so you might just rustle one up by Christmas…!? I enjoy writing patterns. 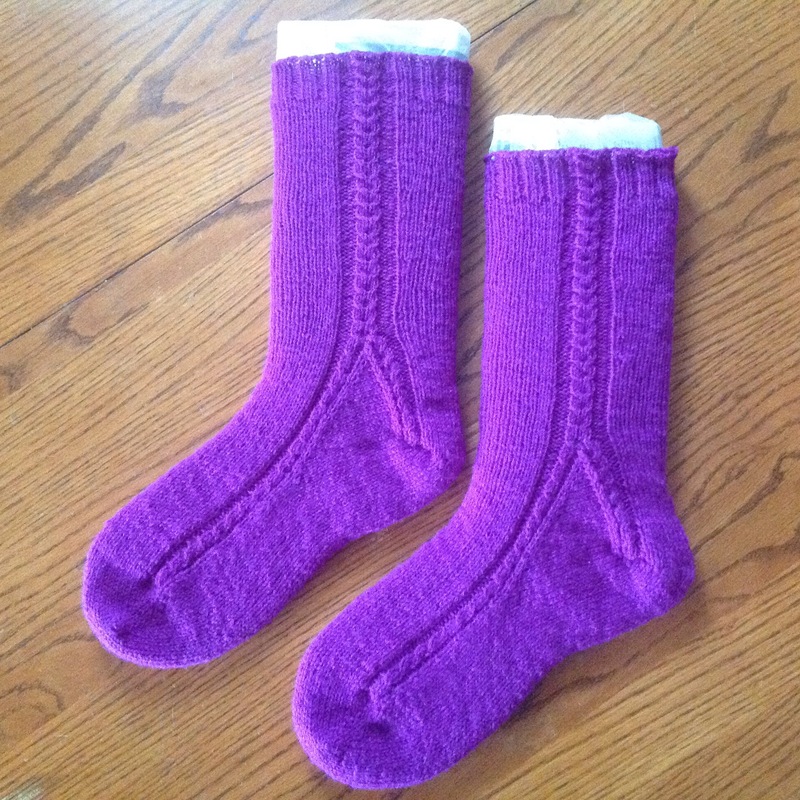 I have several waiting to published, some of which I am planning to offer as paid patterns. 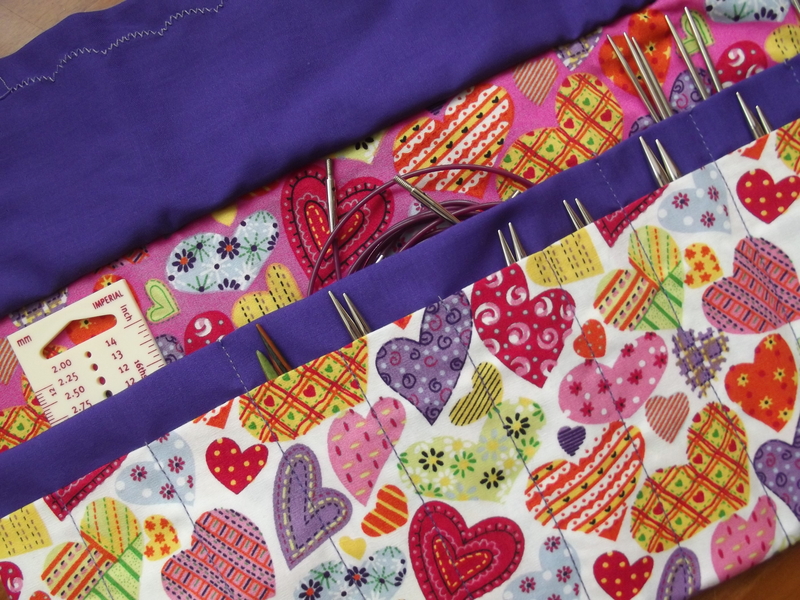 I have no way of knowing whether I will end up selling no patterns, a few patterns or, in the words of Del Boy ‘this time next year we’ll be millionaires…’! My income as a fledgling self-employed designer, is (very, very, very) unlikely to edge over the threshold for income tax in the UK (about £9,500). 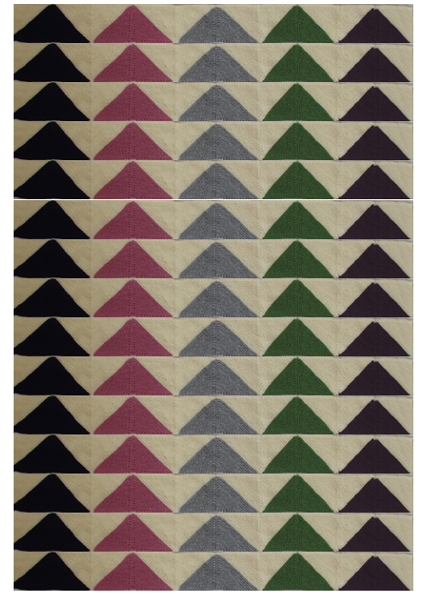 A typical pattern price would be £3 – £4 so that represents sales of 2,400 pattern sales in a year! Just as I was about to publish my first paid pattern VATMoss/EUVAT raised its ugly head. The rules on dealing with VAT on sales to Europe are changing and it seems that the smallest businesses have been totally disregarded and are about to be hit hardest – and everyone has to start small at some point! The VAT changes will mean that giant firms, such as Amazon, will no longer be able to take advantage of being based in low-VAT EU countries in order to sell their digital products at cheaper prices (the VAT at present is charged at the rate of the country of the supplier). From 1 January 2015 the VAT has to be charged at the appropriate rate for the country where the person purchasing the digital item is based. This in itself doesn’t seem too unreasonable – but tiny businesses are being treated in exactly the same way as the giants. 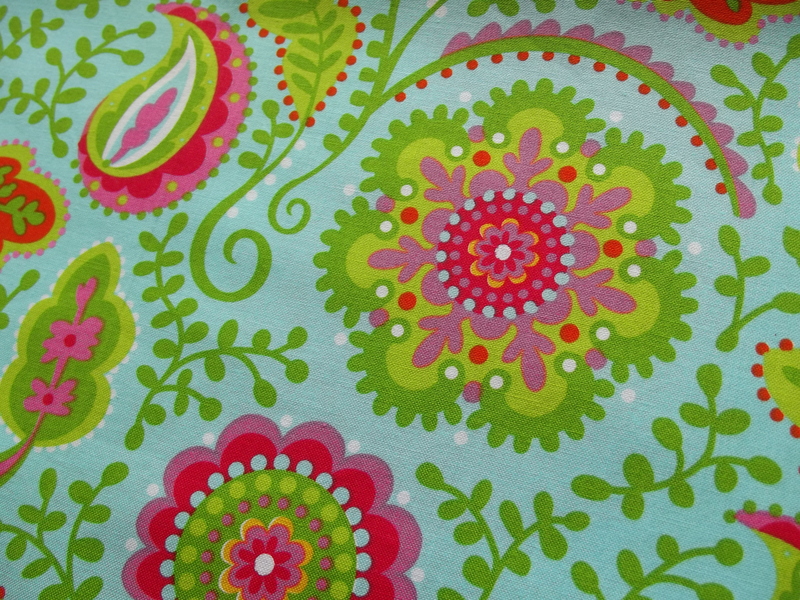 If I were offering to print and post my patterns to you and I could guarantee that people from elsewhere in the EU wouldn’t buy my patterns, the legislation wouldn’t apply at all and I could go on my merry way earning up to £81,000 before having to worry about registering for VAT in the UK. Thresholds like this are meant to encourage small businesses, enabling them to concentrate on ‘doing business’ not ‘spending all their time on admin’. The legislation has existed since 2008 – which is a very long time in terms of digital sales development and thousands of business have come into existence because of the advent of online publishing, payment processors and shop-window websites charging minimal fees. Often these businesses are run by people who cannot work in traditional jobs due to the commitments of caring for family or health issues. Sadly, HMRC (Her Majesty’s Revenue and Customs, the tax department in the UK) do not seem to have communicated at all with the smallest businesses. They do (or did, we are quite a noisy bunch when we put our mind to it!) not know we existed, had no idea how we operate and in return we have been left unaware of their expectations about paying VAT. It’s not just the VAT. If I sell directly I need to keep records to prove where my customers live (in two different ways) so I can hand over the VAT to the appropriate government (the fact that this data is not actually available to small scale sellers seems to have bypassed HMRC). If I keep this sort of data (for ten years as required) then I may need to register with the relevant data agencies – and they may wish to audit me at some point. Do nothing and wait for the VAT inspectors from various parts of Europe to spot me with their web-bots and imprison me for non-payment of a couple of euros worth of VAT (that’s worth everyone’s time and money, isn’t it)? Make my patterns available via a third party platform who will handle all the admin/VAT on my behalf. This appears to be what HMRC assumed everyone does. However, many of the platforms do not work in the way that HMRC anticipated and do not see themselves as being the ones who should have this extra workload given to them. 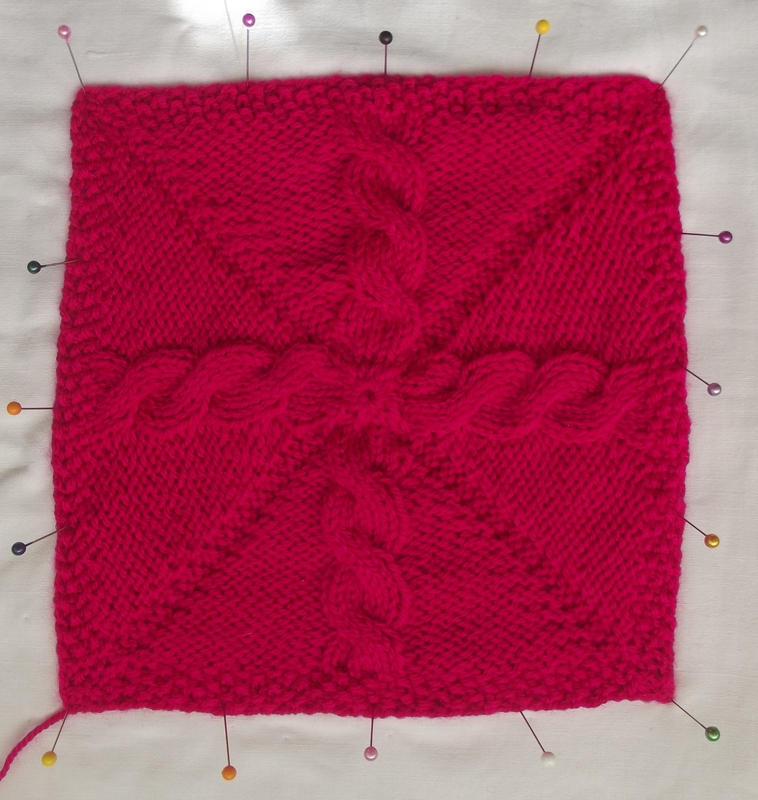 Ravelry and LoveKnitting have come up with a workable solution, but there is still no confirmation that HMRC believe that Ravelry are not responsible as a platform. Also, selling via a platform means that they will want an (entirely reasonable) fee from me, but that eats into any income I might gain from sales. 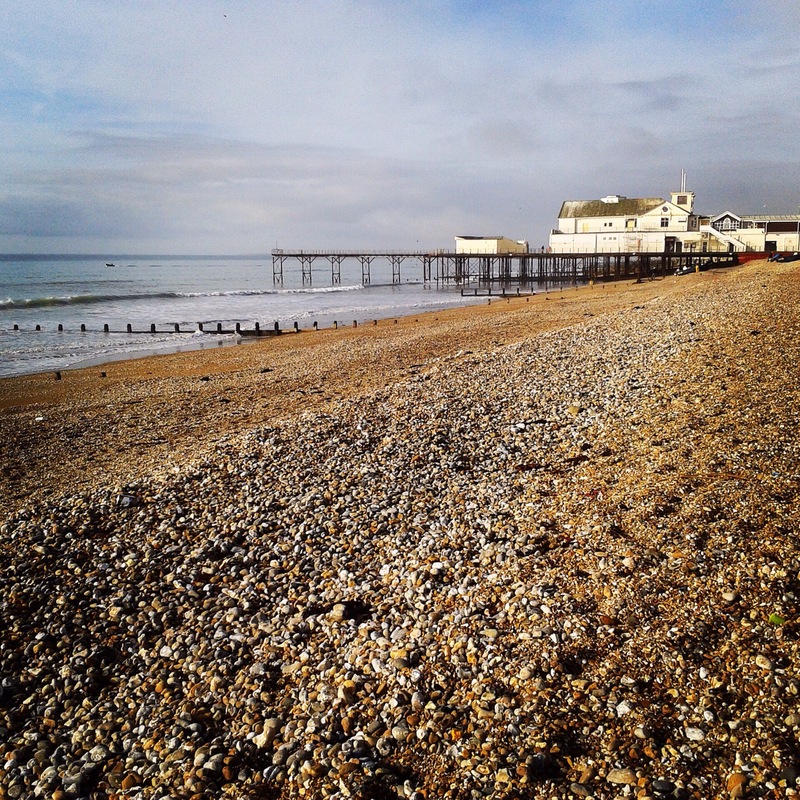 It does make you think ‘is it all worth it?’ – but that’s the easy way out! These changes will affect anyone who buys/sells digital products – patterns, instructional videos, illustrations, web adverts – whether they are in the EU or elsewhere (yes, if someone in the USA sells a pattern to someone in Europe they should be remitting the VAT to the appropriate country too). If the VAT has to be paid the seller needs to factor it into their pricing, as well as the cost of their time in administering it. Prices are bound to increase and some businesses will just opt out of the madness altogether and cease trading. Digital products are just the start, physical goods are next on the horizon, bringing this nonsense to a whole new range of nano-businesses and their customers. So much for encouraging small businesses and as for the current campaign to #DoMoreOnline…! Today there is a TwitterStorm using the hashtag EUVAT. Previous Twitterstorms have raised awareness and brought about some communication with HMRC, this one is aimed at the EU. If you want to know more I’d suggest looking at EU VAT Action and in particular completing their survey or signing this petition. 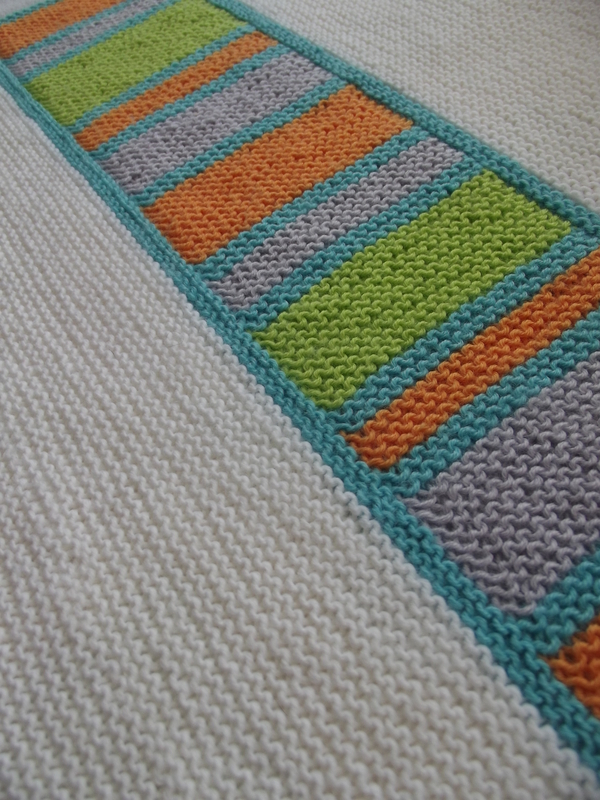 Knit Now were brave enough to commission my pattern back in the spring and today issue 39 hits the newstands. 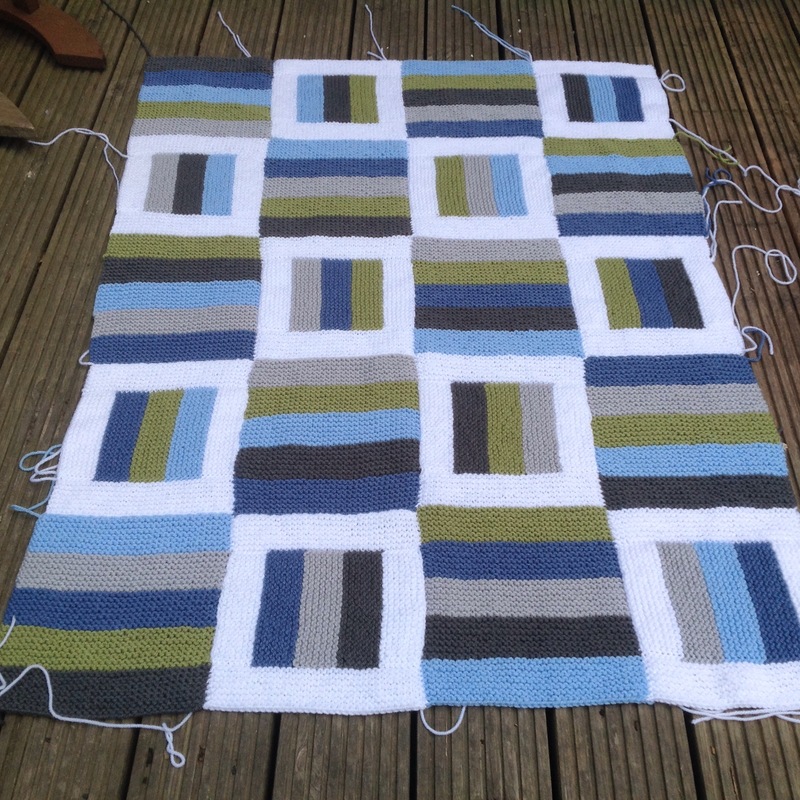 The Colour Splash Blanket is knitted entirely in garter stitch, one colourful stripe is expanded upon to form a square, giving a small blanket ideal for a baby. Click the photo to go to Ravelry to see more information about the pattern, or, if you feel inspired to rush and order a copy online, the Knit Now website is here. 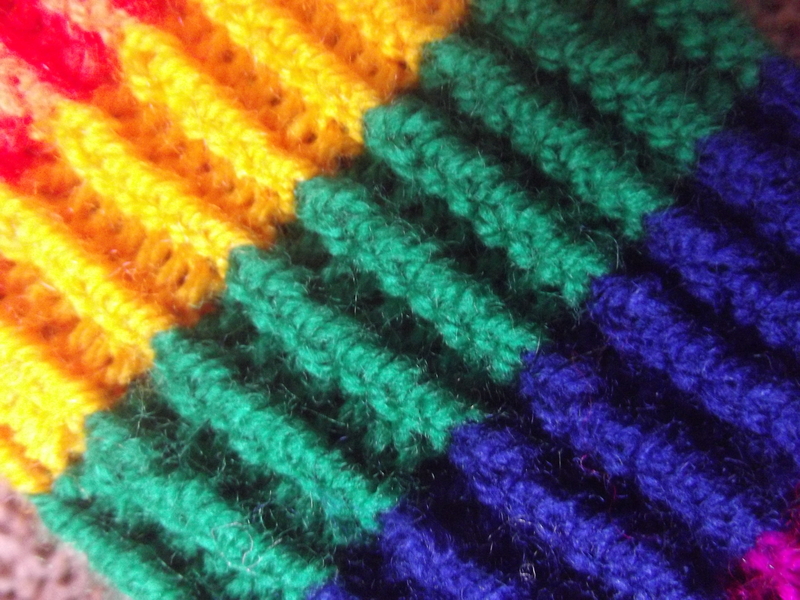 I have been busy putting together knitting and crochet patterns, which I will start shamelessly plugging telling you about over the next few weeks – watch this space! Stunning huh? 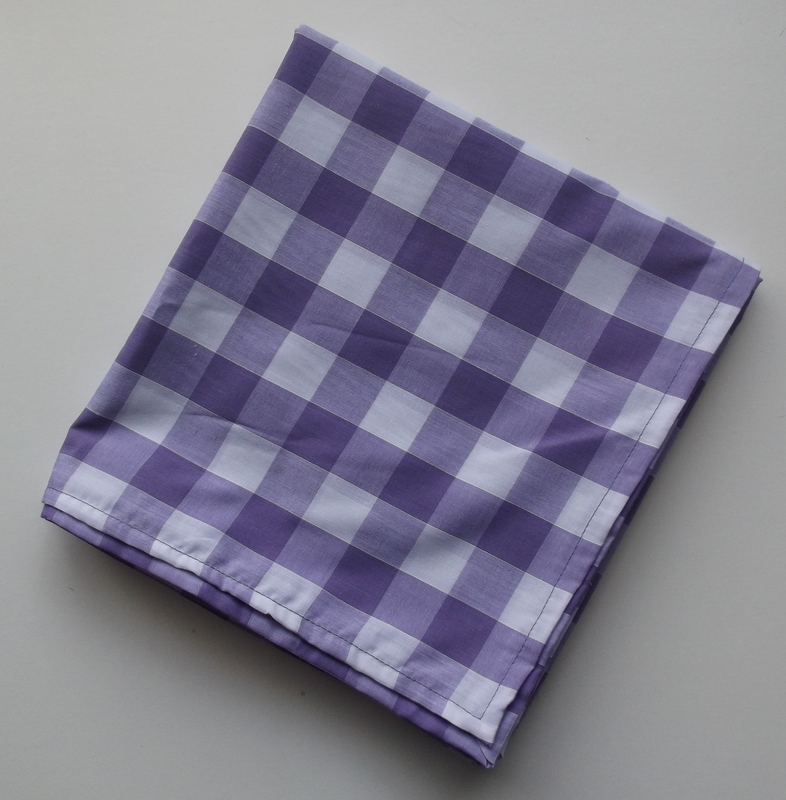 Yes, it’s two whole metres of rather fetching purple one inch checked gingham fabric, with a hem all the way round. I even ironed it, not that it looks like it here. But it’s NOT a tablecloth. 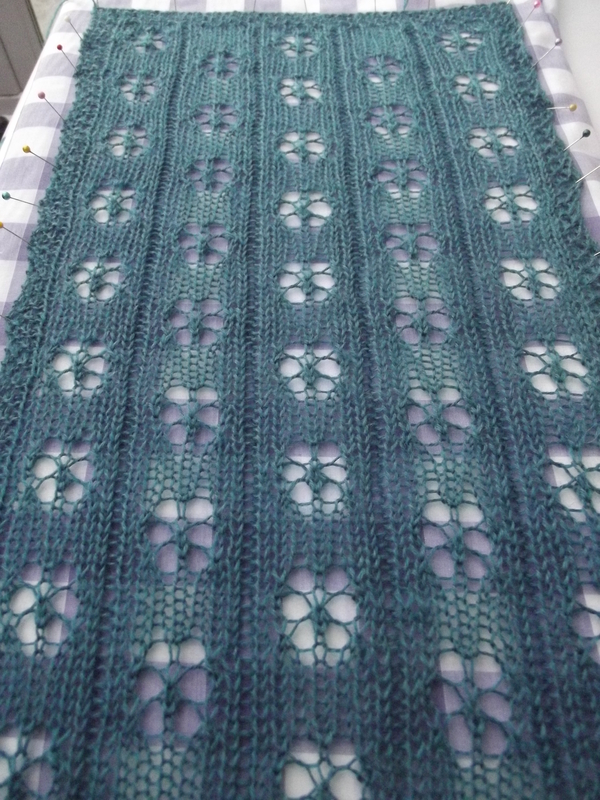 I am hopeful that this will help me line things up evenly when pinning them out and for projects that have been blocked to look better afterwards, not worse… It seems to have worked for this project, you can see that the flowers line up quite neatly. There’s not been much happening here for a while, has there? 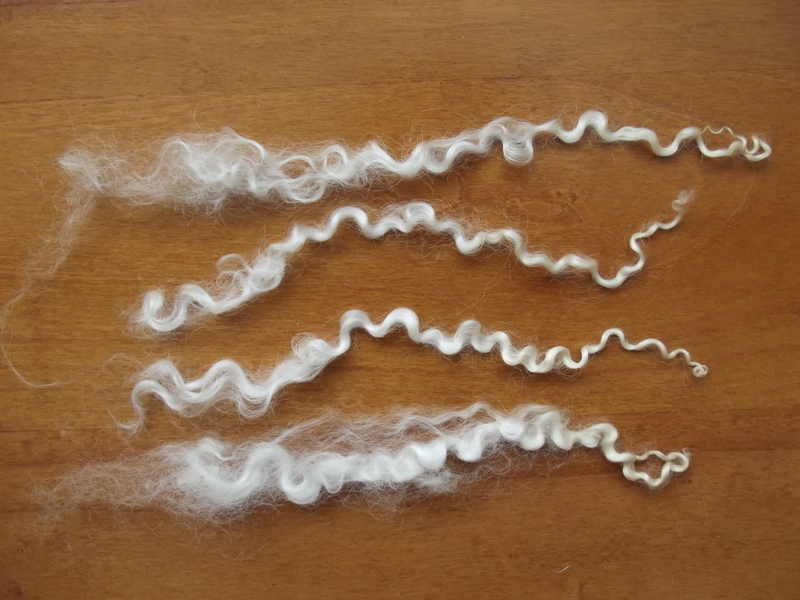 They are Wensleydale locks, purchased from PippaJo’s Fantastic Fibres on Folksy. 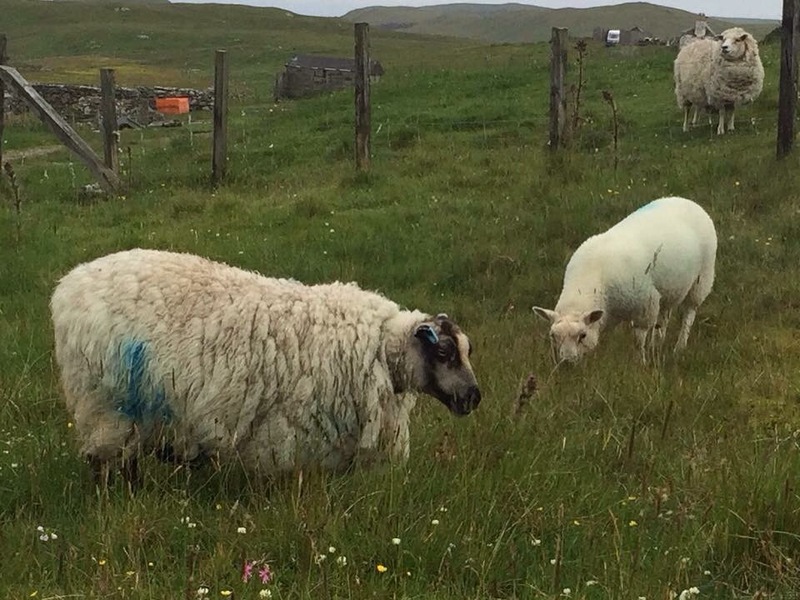 These sheep must have been kept in a luxury hotel and given regular hair conditioning treatments – the locks are lovely to work with and virtually no VM to pick out. 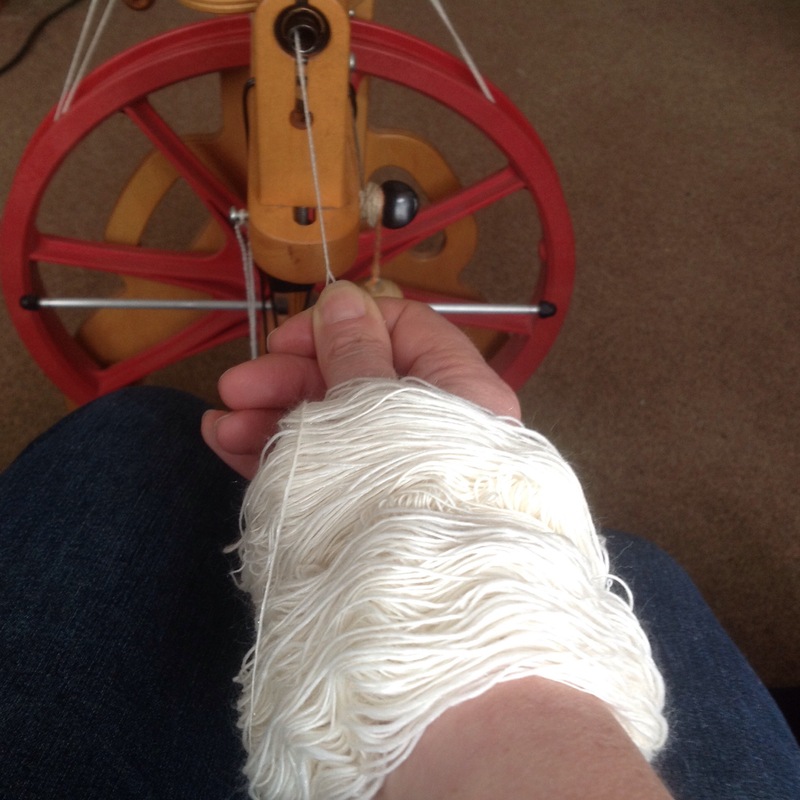 Spinning with fibres this long has taken some getting used it, my hands seem to be miles apart when drafting. 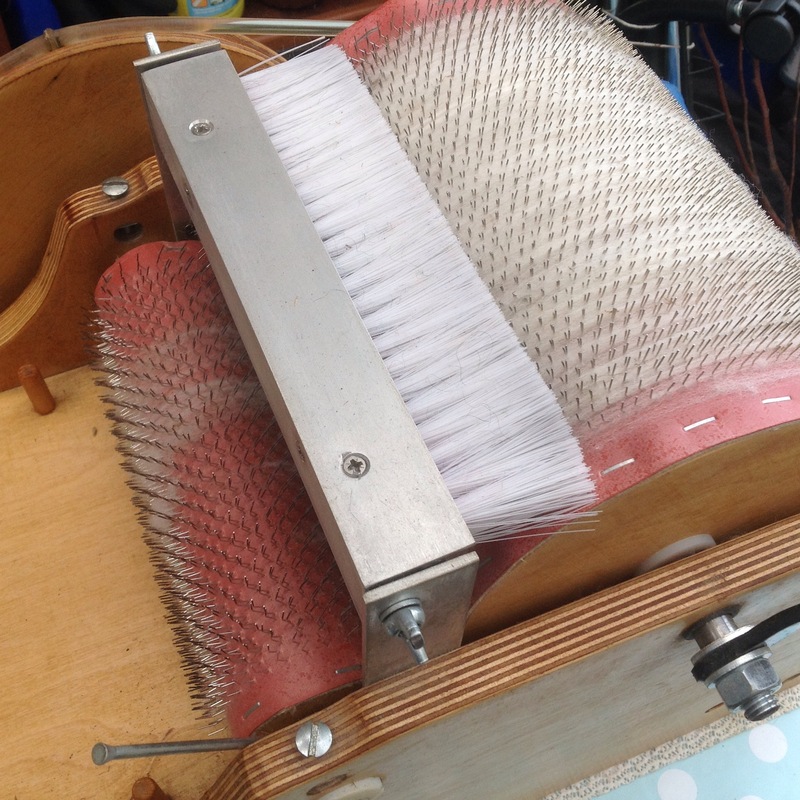 I have set the Ladybug up so it is on the fastest whorl with a high speed bobbin and one lock seems to be producing huge amounts of very fine singles with a slight halo to them. There are finally hints of spring, some blossom is appearing and flowers are determined to add splashes of colour to the bomb site that is the back garden. 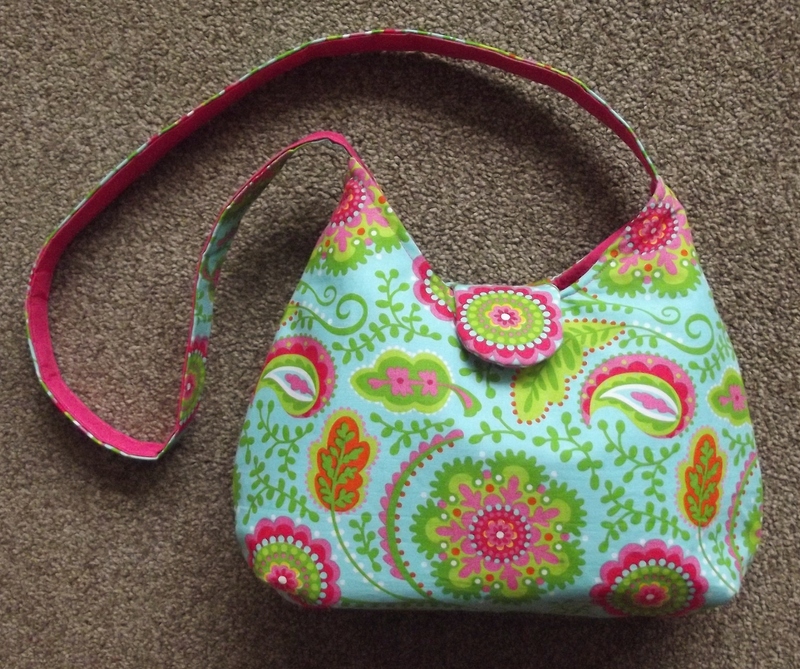 In an attempt to help bring a little more colour to my world I dragged out my sewing machine and made something. With a proper pattern and everything! 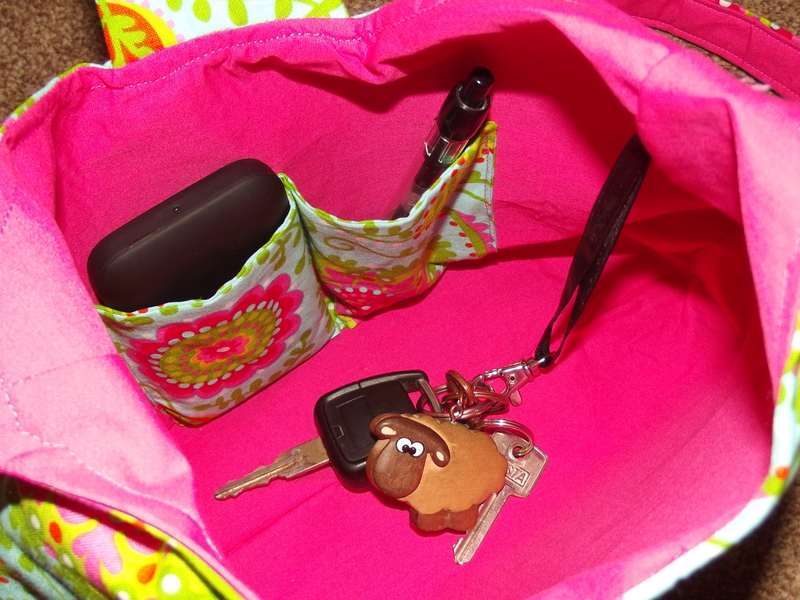 I came to a bit of a halt for a while when it got to the stage where the inside and outside of the bag need joining together. I had visions of ending up with the closure flap being on the wrong side, or being stuck between the two layers of the bag. It took about two days of picking it up, sticking more pins in and thinking very hard before I got the courage together to sew the seams. 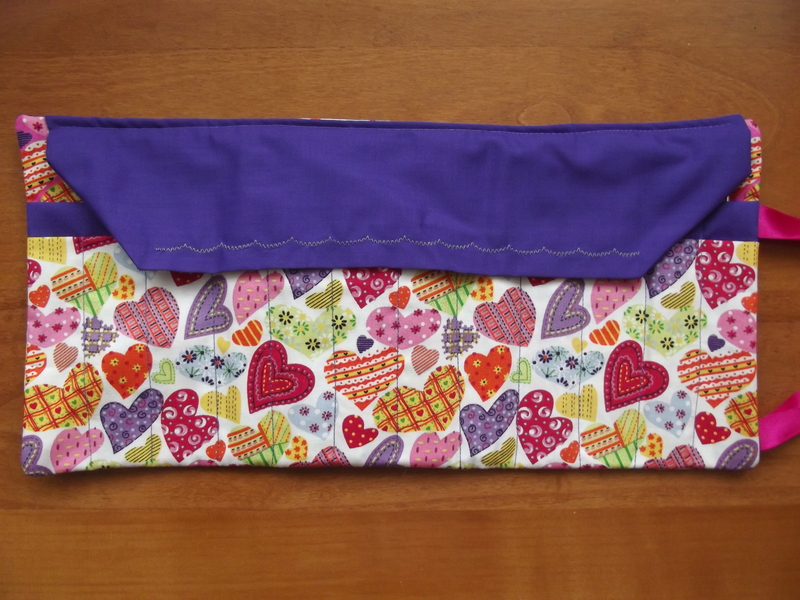 My local fabric shop has a sale on this weekend, so having got this far with my sewing machine I may see if there is any other fabric that tempts me. 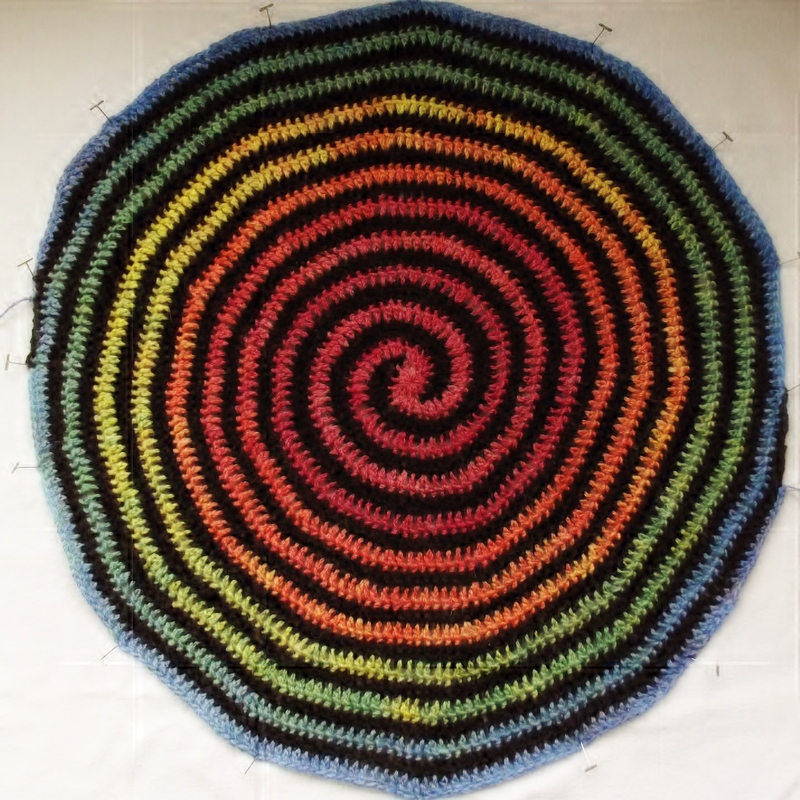 I have had an idea in my head for a long time about a rainbow coloured spiral. 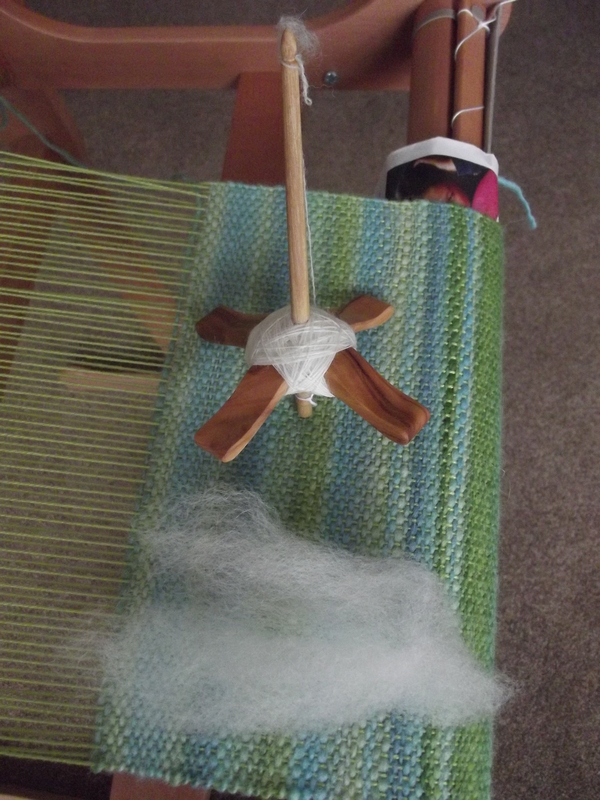 Finally I have managed an attempt at it, using the Hilltop Cloud fibre I spun a couple of months ago – I am quite pleased with it, but can see lots more variations on this theme, perhaps with a wider spiral of colours and a thin line of black? 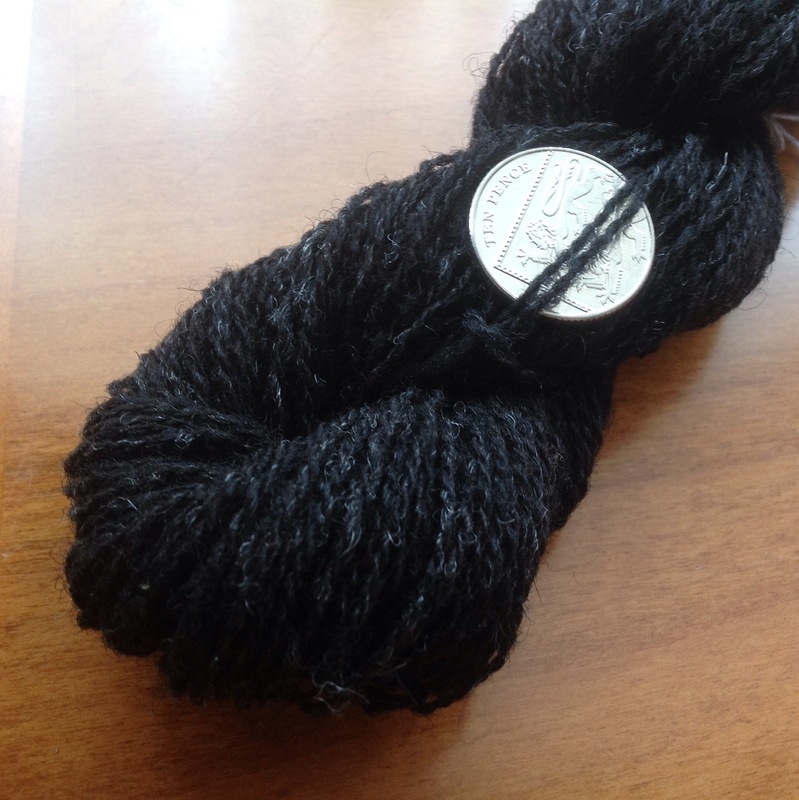 I’m now spinning up more black shetland fibre in the hope that I can make a plain black circle, join them together and make a cushion cover. 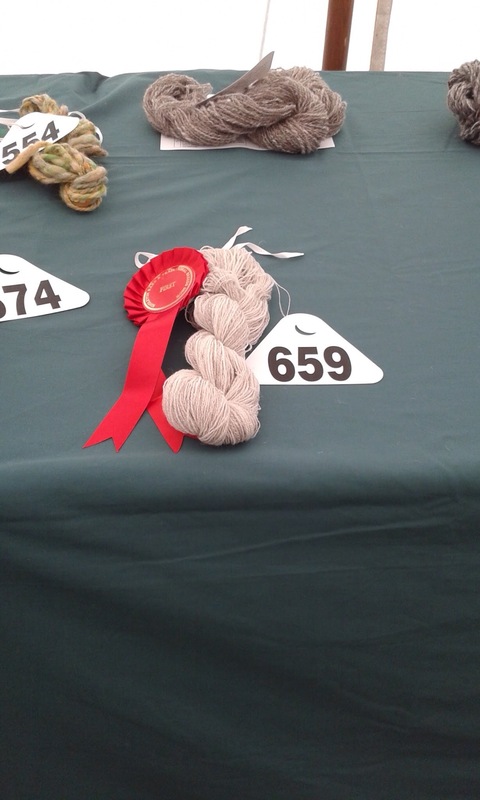 It’s all rare breed fibre so, if it gets finished in time, it might become an entry for the Rare Breeds Show this year. 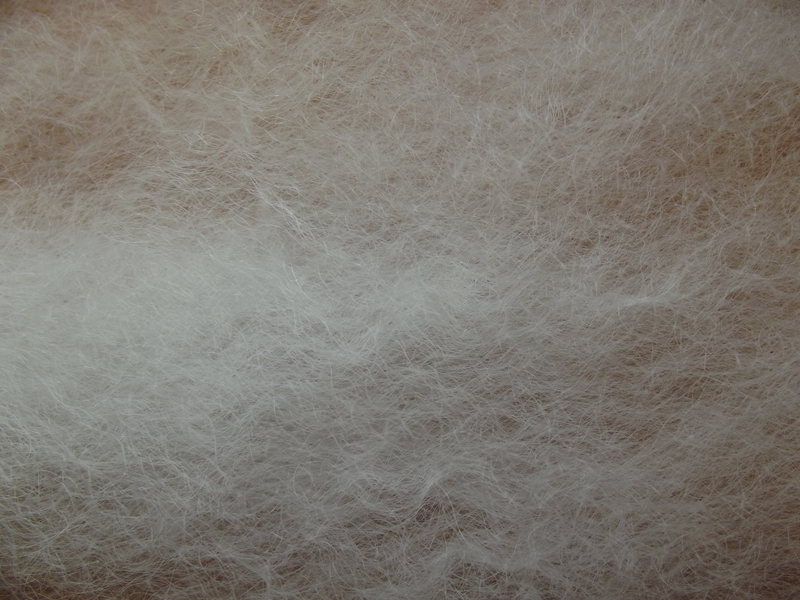 I recently acquired a flick carder. I have now got a pretty good selection of tools – hand carders, drum carder and mini combs. 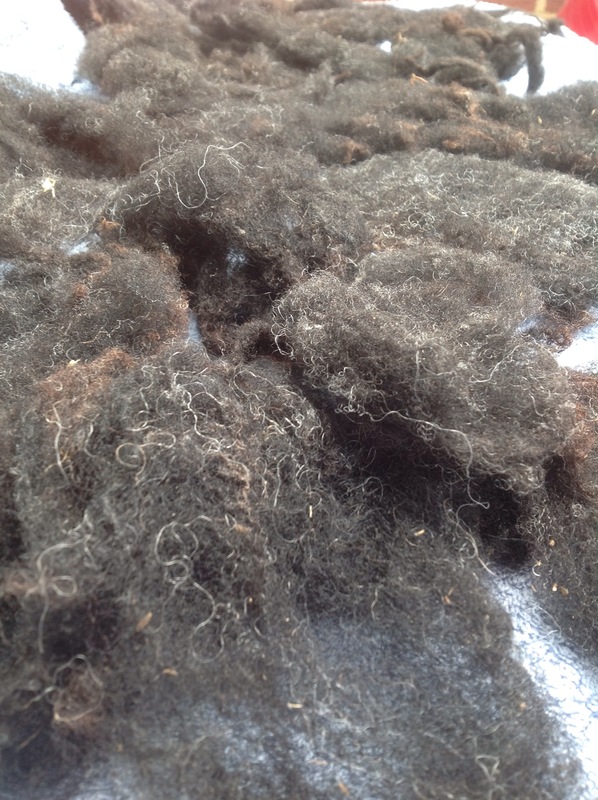 I bought a Jacob fleece last year and have washed and combed some of it. I looked at again and managed to wash and dry some more locks (which with the summer we’re having so far this year is quite an achievement)! 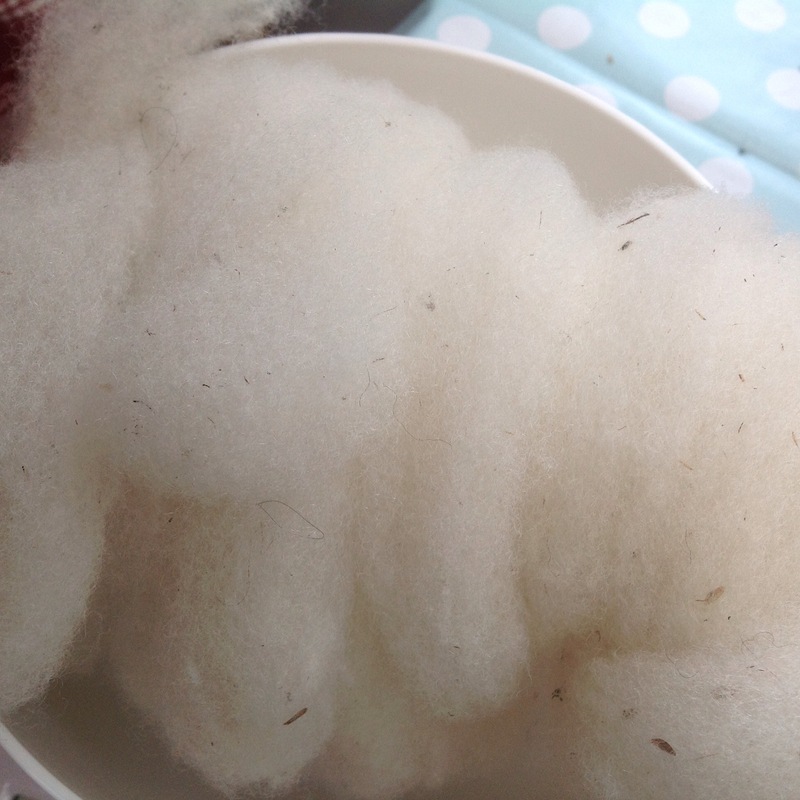 I am not particularly good at washing fleece, but there were some white locks which managed to survive my processing attempts without turning into a mangled mess. 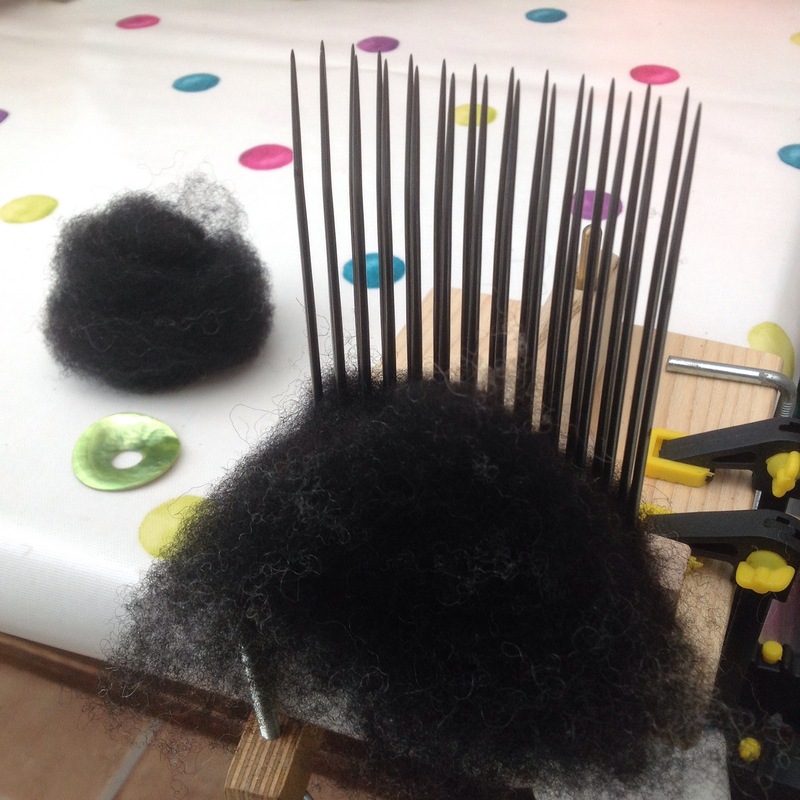 I had planned to comb them to spin a skein for the local spinning show (it will probably be my only entry this year – so many plans that have fallen by the wayside over the last year). 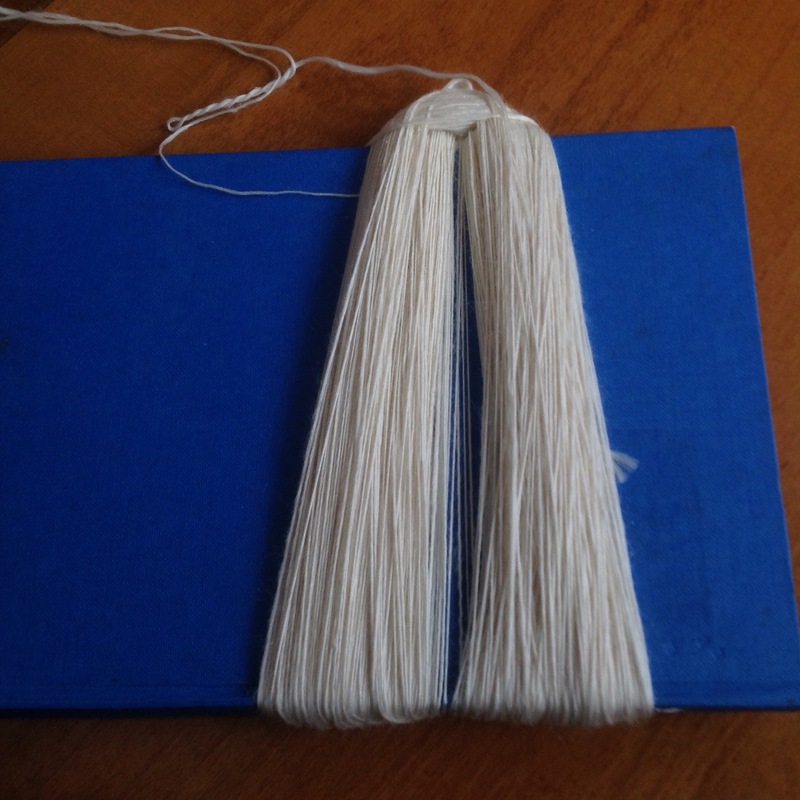 Instead, I tried out my new flick carder. 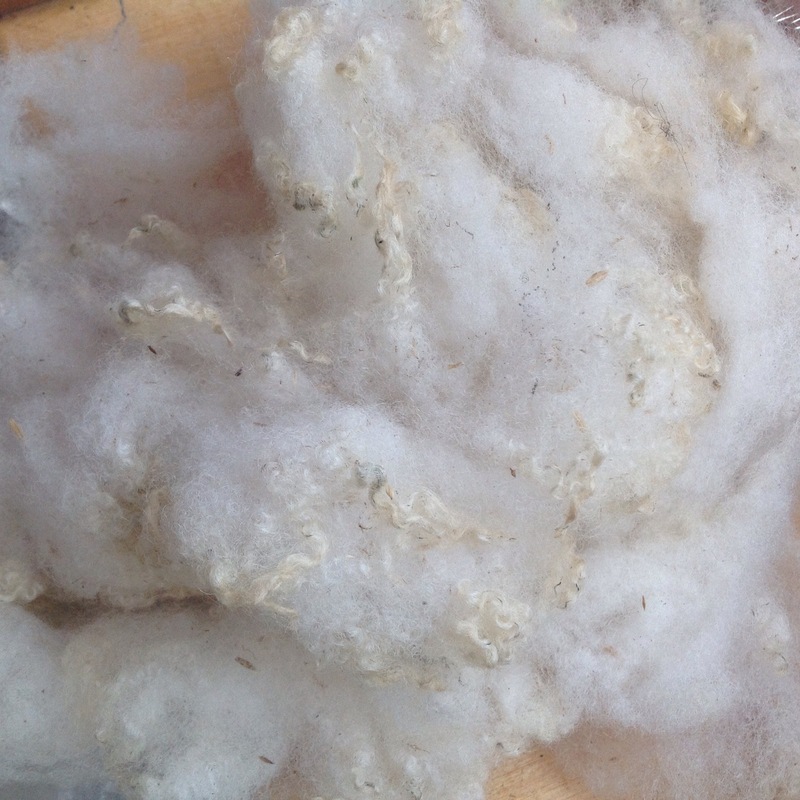 I found that bravery and a firm hand was the key to success and ended up with a small bag of fluffy white fibre (and plenty of waste and vegetation). 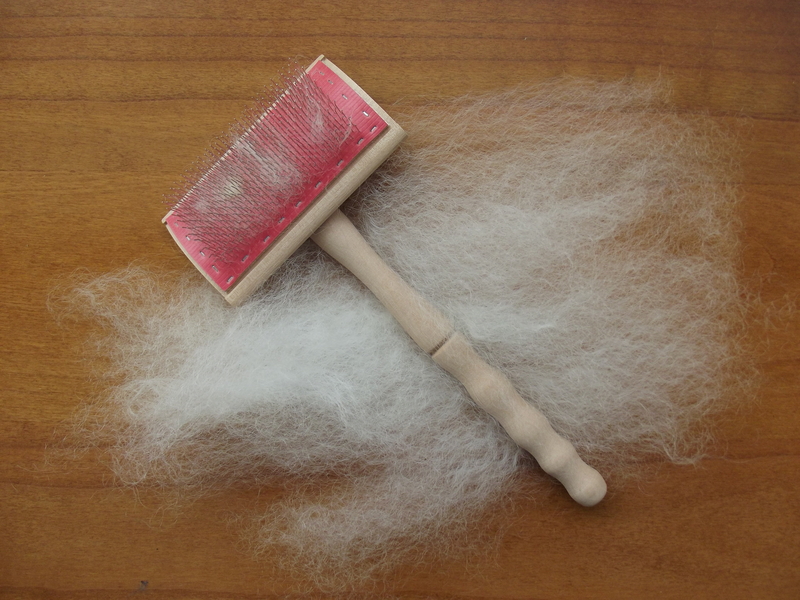 It’s a long time since I used a spindle, but it came back to me. 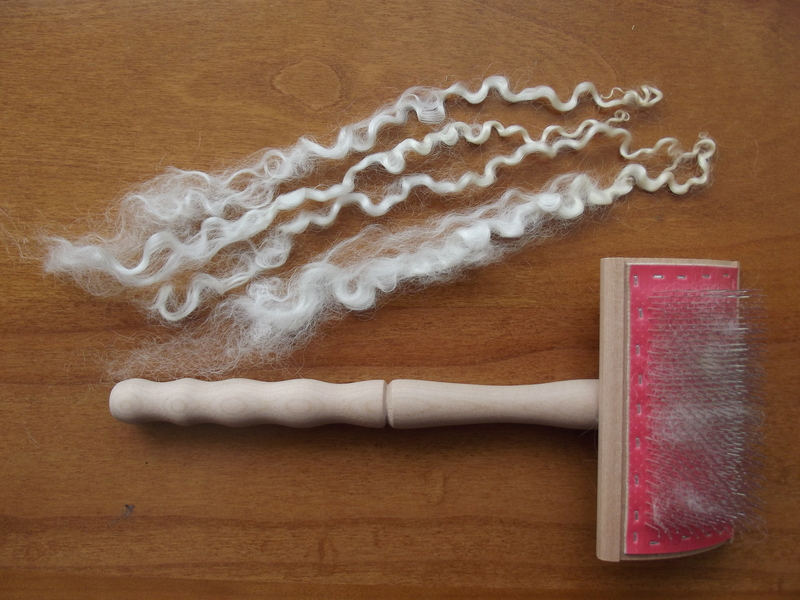 The tiny spindle is great for getting a fine yarn – it just keeps spinning and spinning. I’m not quite sure how I will go about plying from two balls of singles yet, but I’ll worry about that another day!